Think of the calculated patience of the Ellen Ripley persona. Here is a woman whose level-headed approach armed her with a foresight that would have allowed all those involved in the “Alien” movies to circumvent confrontations with menacing bloodthirsty monsters, had she not been surrounded by those too lazy or corrupt to follow rules. It was she who anticipated dread when those aboard the Nostromo decided to answer an ambiguous alien distress signal on a remote planet. It was she who refused to open the ship’s hatch when it became obvious that one of her comrades had been exposed to a face-hugging parasite. It was she who expressed discontent over others placing themselves in uncertain danger, even though it may have made her seem unsympathetic in the minds of emotional crew members. It was she who dug deep enough to discover that her crew’s resident android had been programmed to bring the alien life form back to Earth regardless of the safety of others. And when the creature gradually began picking crewmembers off in the shadowy corridors, it was she who stayed focused and committed to the cause of survival, despite the fact that the encounter caused the deaths of all those around her (save for a feline named Jones). 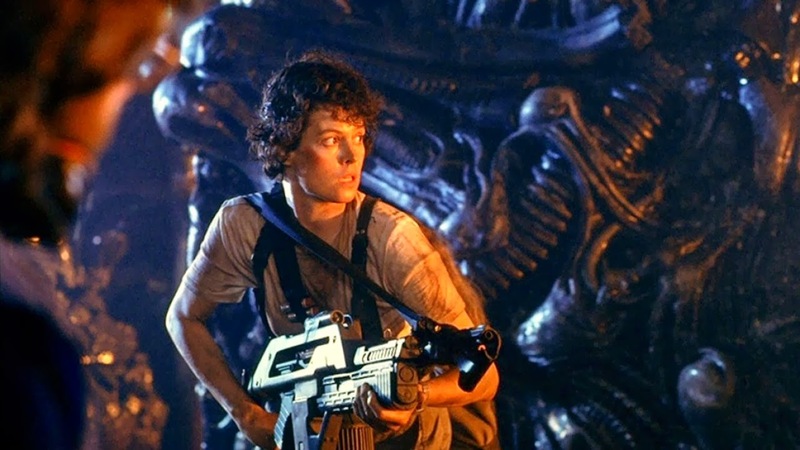 Many have studied and argued the legacy of Ripley in the context of modern movie heroes, but few reach the root of her strength: while others are eager to find triumph through energetic displays with fists or weapons, her drive basically comes down to good old fashioned wisdom and humanity, and a desire to survive however necessary. There is a strategy in her maneuver through danger that projects certain realism in the situation too, like one of those survivalists you hear on the news who endure through extreme conditions in the wild. In both cases, we admire their perseverance because they reflect the values of real people, making their skills tangible to our imaginations. This all goes a long way for a movie like “Aliens,” which sees characters taken to the bleakest of situations and often react out of a fear that undermines their ability to see necessary details. And standing at the center of their turmoil is a woman who trembles but doesn’t flinch, even when rows of teeth flash in rapid succession and others are left squirming in the corners. The first of these movies remains one of the great sci-fi horror achievements of the modern cinema, but its sequel, “Aliens,” is that rare instance where a follow-up deviates from the formula and finds an effective rhythm in propelling the story. 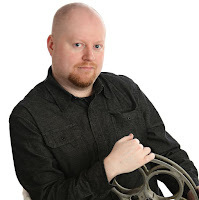 As a vehicle to showcase the emerging talents of a then-relative newcomer named James Cameron, the movie also inspired the way many such films have been made in the years since: with full ensembles of distinctive speaking parts, moody photography that exploited claustrophobic feelings, and a sense of storytelling that was gradual but unrelenting in the way it imprisoned characters in a world of nonstop terror. Ridley Scott was the right director to make a movie as cautious and observing as “Alien,” but it took a man with great nerve to concoct a follow-up that could amp up the adrenaline beyond simple passages of action. For well over two hours the audience sits transfixed in a web of despair, and around every corner there exists a bleak reality that never lets up, even in brief moments where an upper hand seems within reach. The movie opens with that familiar wide-pan view of the outer reaches of space, and a silent ship glides past the camera like a lure on a fisher’s pole. We enter its interior with cautious optimism: we saw this vessel briefly, in the closing shots of “Alien,” where the last survivor of the Nostromo placed herself in hyper sleep after an exhaustive battle with a bloodthirsty alien that ultimately resulted in the destruction of her massive ship and crew. Now, an apparent 57 years later, a passing cargo vessel has picked up the wandering ship, and Ripley awakens to the realization that the world around her has changed, and not necessarily for the better (the director’s cut, which is even better, gives us a scene in which we discover that Ripley was a mother and her child has died of old age, adding resonance to a narrative circumstance that arises much later in the movie). After rigorous judicial inquiries into the undocumented circumstances surrounding the destruction of the Nostromo (and a subsequent dismissal of her flight license), Ripley and her audience get around to asking the same critical question: what became of that dark and mysterious planet that became the source of all sorts of nightmarish visions in the first movie? The answer: humans have populated it and set up an artificial atmosphere there, where they are apparently conducting scientific research of an undisclosed nature. The words of a shady company worker named Carter Burke (Paul Reiser) do little to calm the immediate dismay Ripley feels at hearing such an announcement, and after a series of scenes involving those colonists confronting a mysterious space craft, her fears are realized: the alien life forms reappear, and in short time they will turn everyone present into vessels for their multiplying numbers. Here is where James Cameron’s sense of precision allows the movie to make distinctive departures from its predecessor. A crew of misfit space marines and military personnel is assembled and assigned to infiltrate the base, where communication has been lost. They include the muscular and intimidating Vasquez (Jenette Goldstein), the wisecracking Hudson (Bill Paxton) and the level-headed but protective Hicks (Michael Bien). Ripley, meanwhile, is brought along as a liaison, she being the only one within the infrastructure who has a grasp of what they will be dealing with. Collectively they banter with sarcastic approaches, unaware just how much danger looms ahead. We are right there along with them, in a way, because “Alien” was afflicted with the presence of only one creature that didn’t appear until late, whereas the backdrop we descend into with “Aliens” creates an immediate scenario that is wall-to-wall in monsters, most of whom don’t so much cautiously move through shadows as they stampede through dank corridors filled with gun-toting marines. Most of the action, however, is viewed from the outside; Ripley, Burke and a Lieutenant named Gordon (William Hope) spy the infiltration from monitors that reflect what they eyes of the marines see, and their jumbled rush through narrow passageways is inundated by grainy flashes of chases, screams (both human and alien) and occasional shouts of military orders. In other moments we sometimes catch just a quick glimpse of computer radar, showing dots on a screen as they inch closer to their prey with pulsating beeps. Somehow the full figure of the alien itself eludes full photographic exposure during many of the confrontations, and that only adds to the adrenaline: we may know what it looks like based on past experience, but who is to say they have not evolved, especially with how rapidly they seem to be barreling towards their prospective victims? There is a skill in the direction that is unmistakable. Most space thrillers would simply exercise the action into exhausting passages with no distinct meaning, but “Aliens” finds a focus in them that evokes brilliant tension, and gradually the mood of it all disintegrates our well-placed hope in an assemblage of likable characters. Likewise, the movie traps them in a set design that seems even more constricting than those famous Nostromo passages (even Ripley’s early scenes on Earth show her in tiny spaces), and cinematographer Adrian Biddle (“Thelma & Louise,” “V for Vendetta”) rushes through them with an urgency that underscores the merciless pursuit of those savage beasts. The screenplay inevitably brings the chaos back to two central points: 1) is the mission really meant to contain the threat, or to merely harvest it for military research? ; and 2) as their numbers dwindle drastically, do any of the humans stand a chance of surviving the encounter long enough to escape and wipe out the aliens? Perhaps there is a formula to the answers here that not even Cameron can escape, but we are willing to cut him some slack. In a final act that contains even more harrowing revelations amidst an escape plan that is bound by mere minutes on a ticking clock, it’s more about the tone and pace rather than the prospect for absolute ingenuity. In any case, since its release nearly three decades ago, the movie has maintained certain notoriety as one of only a handful of movie sequels that transcends the notion of follow-ups being equally successful to their counterparts. Many have even said it is a better film than the original, and as such it endures in film circles kind of as a dual prophecy – one for the prospect of a follow-up being equally as good as the masterful original, and another as a benchmark in the immense career its director would have in the decades that followed. Scott’s film still emerges as the greatest of the series because of its steady, almost deafening quietness, and no other film has ever compared to it. But here is a visceral entertainment that must be credited not only for its great skill and energy, but also for its refusal to retread to that formula. “Aliens” forges a destiny that remains unmatched to this very day, and as such it remains one of the great sci-fi horror entertainments of our generation.